It’s difficult to refer to myself as someone who knows a lot about movies but then have to admit I have never seen Rocky. A classic film about an underdog boxer, Rocky not only has one of the most recognized theme songs in cinema, it has gotten to the point where everybody knows who Rocky is. No longer must I say that I have not seen the 1977 Oscar Best Picture Winner. Last weekend I watched Rocky and was very surprised by what I saw. Rocky is a film about a boxer but it isn’t really much about boxing. There are very few scenes where boxing is actually shown. The film opens with one of the few boxing scenes, showing Rocky Balboa (Sylvester Stallone) in a match. The match ends and we get a chance to actually meet Rocky Balboa. An oddly charming man, Rocky has a fondness for animals and seems to genuinely care about people. 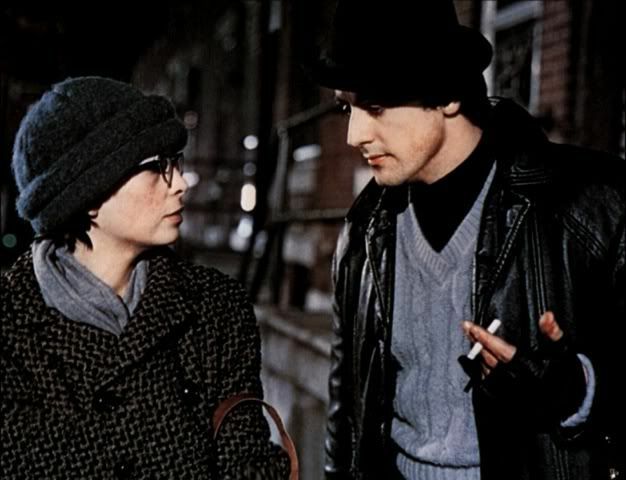 Rocky is constantly flirting with Adrian Pennino (Talia Shire), his best friend’s shy and quiet sister. Begging his friend Paulie Pennino (Burt Young) to get him a date with his sister, Rocky and Adrian eventually go on a date and their relationship grows. The relationship between Adrian and Rocky, specifically how the two grow from that relationship, is one of the main aspects of the film. Adrian is finally comfortable enough around someone to come out of her shell and even gain confidence in herself. Rocky, a man who tries to take care of everything on his own, finally has someone willing to care for him and look out for him. The other aspect of the film is the fight. Rocky is not a professional boxer, in fact boxing is not his main source of income. He only picks up side fights when the opportunity presents itself. Rocky’s real job is to collect money for a local bookie, using force if necessary. Made an outcast by his gym’s manager Mickey Goldmill (Burgess Meredith), Rocky is not considered a serious fighter. His manager does not treat him seriously because Rocky wasted his talent and took a job that was beneath him. Not taken seriously, an odd situation finally gives Rocky his big break. The world heavy-weight champion, Apollo Creed (Carl Weathers) had planned a match on New Years Eve but after being injured, his opponent had to back out. With no famous boxer willing to fight him with such a short amount of time to train, Apollo decides to give an unknown a chance. Picking from a book of names, Apollo thinks Rocky, the Italian Stallion, would be perfect for the fight. This decision sets off some of the most famous scenes in cinematic history, the training montages. Not even training to necessarily win, Rocky just wants to take advantage of his chance and go every round with Apollo Creed. The movie is mainly a build up to the fight as we watch Rocky train and get ready. This film had a number of different positive and negative aspects. I though the character development of Rocky and Adrian was outstanding. Both characters grew tremendously throughout the film. Beyond the two main characters however, there is almost no character development. Supporting characters don’t grow or change much, they just kind of serve the same purpose throughout the film. I also thought that there were some holes in the dialogue. Often times conflict between characters escalated to a yelling match before it was obvious what the actual conflict was. It gets to a point where yelling becomes an acceptable form of communication during the film which sometimes creates a convoluted mood or masks the true intentions of the characters. Overall I found this to be a well done film. 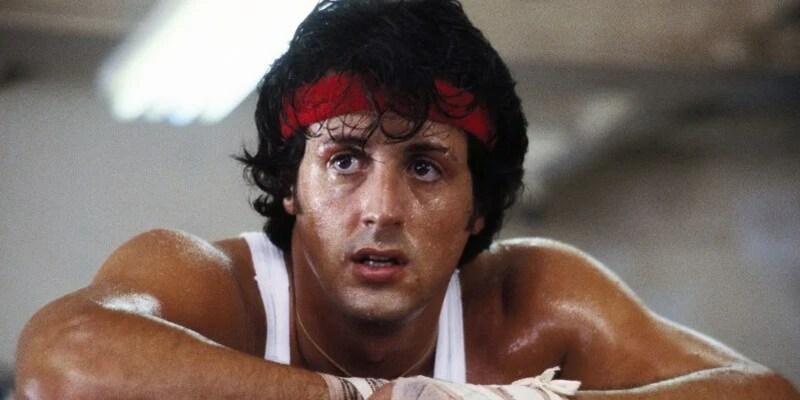 It was not only the underdog story of Rocky Balboa, it was also Sylvester Stallone’s own personal underdog story. Writing and starring in the film, Stallone was a fairly unknown name before Rocky. Beyond winning the Oscar for Best Picture, Rocky director John G. Avildsen won best director and the film won for Best Film Editing. The other films in the Best Picture category were All the President’s Men, Bound for Glory, Network and Taxi Driver and I’m not sure Rocky is really the best of the bunch,. Rocky is a great film but it wouldn’t have been my vote for Best Picture. 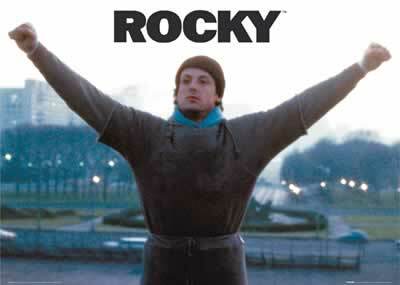 Rocky is an 8 out of 10 film, a classic that everybody should see. As should already be evident with these Best Picture posts, I am going in no specific order or pattern. I have a list of all the Best Picture winners since the Oscar’s started and have been randomly choosing films off the list to watch. 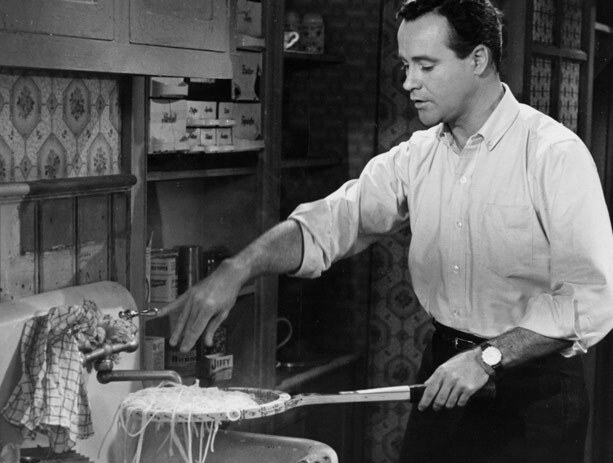 For this installment in this series of posts I chose the winning film from 1960, a film called The Apartment. Filmed in black and white and starring Jack Lemmon and Shirley MacLaine, I was skeptical about this film at first but found it to be one of the better films I have seen in the past couple of weeks. My skepticisms in watching this film did not come from the fact that it was in black and white. My skepticism came from a dumb assumption I made before actually watching the film. Judging by the screenshots I had seen and by the description of the film, I assumed that it was an old romantic comedy, which aren’t always my favorite films. The Apartment taught me pretty quickly not to, pardon the cliché, judge a movie by its cover. Though the majority of the film did have a humorous, light-hearted feel, the movie touched on a number of fairly serious and dark topics. The plot and drama of the film is fueled by the ambitious C.C. Baxter (Jack Lemmon), Buddy Boy for short, a man who doesn’t want to become a nameless worker where he works. To climb the corporate ladder at his insurance company, C.C. Baxter allows four of his superiors to use his apartment as a place to enact their extramarital activities. In return, Baxter’s superiors all recommended Baxter for promotion where a fifth higher higher up begins to use the apartment as well. 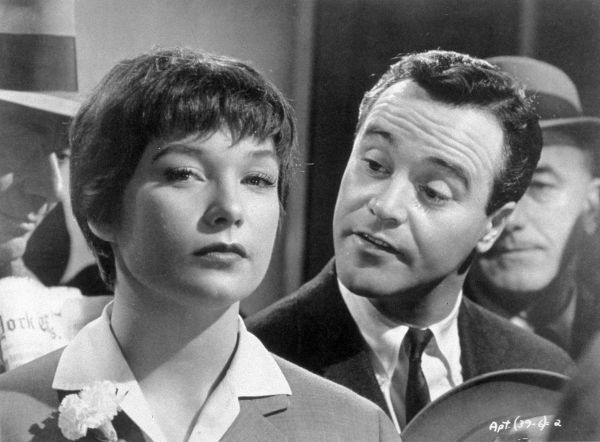 Ignoring the fact that his superiors are taking complete advantage of Baxter, making him leave his own apartment when they need to use it, the real drama enters the film when Baxter falls in love with one of the superior’s mistresses, Fran Kubelik (Shirley MacLaine). Fran and Baxter both have their own plotlines that both converge and diverge multiple times and both plotlines are incredibly depressing. 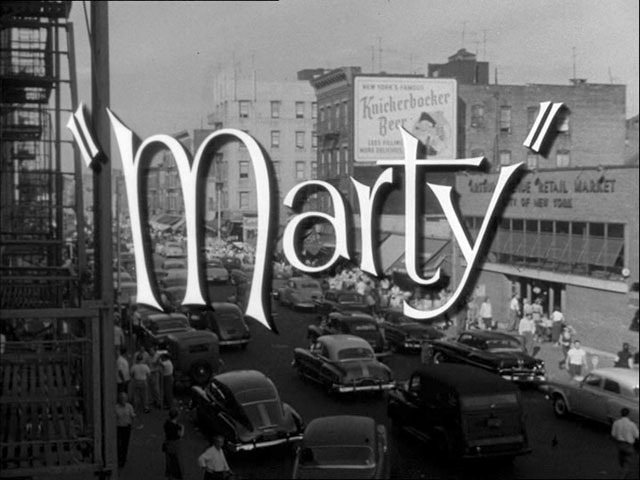 Fran, who works as elevator operator in Baxter’s building, has fallen in love with the powerful and married Jeff D. Sheldrake (Fred MacMurray) who also happens to be Baxter’s boss. 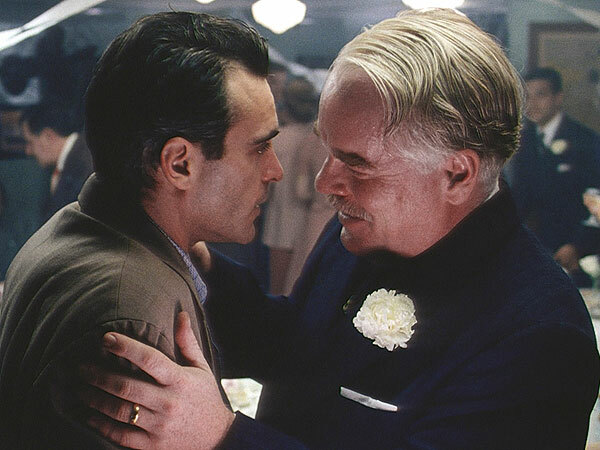 Throughout the film, Fran has to deal with loving a man she must sneak around with and can never truly be with. After watching her suffer endless heartache, Fran falls into such despair that she even attempts to take her own life. While Fran is dealing with heartache, Baxter spends the film desperately trying to figure out how to stand up for himself. As his superiors continue to take advantage of him and the perks of climbing the corporate ladder do not trump sharing his apartment with five adulterors, Baxter starts to get fed up. Fighting to win Fran’s heart and keep his dignity at the same time, Baxter eventually finds a way to stand up fro himself and be happy with his own life. 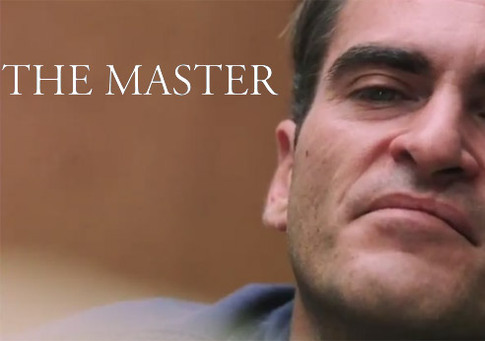 This film is full of great performances. Lemmon brings the eager to please yet inherently sad C.C. Baxter to life and MacLaine is absolutely charming as Miss Kubelik. The adulterous superiors are represented by a hilarious crew of fast talking actors including Ray Walston and David Lewis. Jack Druschen gives a hilarious performance as Doctor Dreyfus, Baxter’s judgmental and scolding neighbor. The film was directed by the extremely talented Billy Wilder, winning him Oscars for both Best Director and Best Writing. 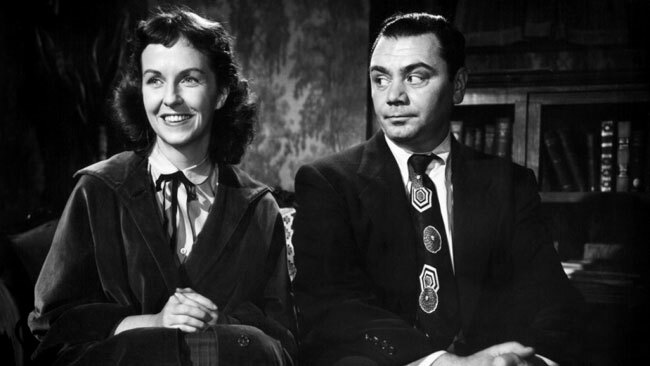 The film also won the 1960 Oscar for Best Picture beating out the Alamo, Elmer Gantry, Sons and Lovers and the Sundowners. I have not seen any of the other nominees for that year but I believe that the Apartment’s win was earned and well deserved. I give this film a 9 out of 10. 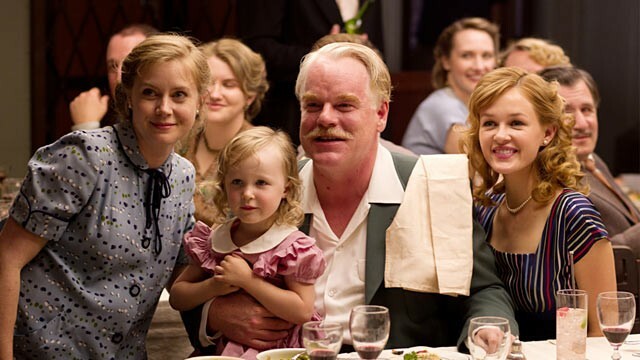 With acting, directing and writing that create characters the audience can really care about, this film made you care for the characters from beginning to end.